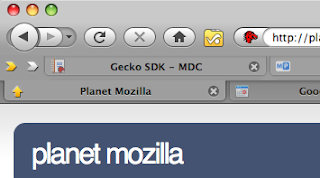 I like using Firefox a lot, but it becomes very slow whenever I open more than 20 tabs(which often I do). I start searching for suitable add-ons and soon I realize that most tab-related add-ons only help organizing the tabs and do not address my problem. So I decided to develop TooManyTabs, an add-on that can organize your tabs and save your memory at the same time. Our team has spent a lot of time on the design of the add-on, trying to make it as usable as possible. The add-on can be downloaded here, it is still listed as experimental and you will need to log in the Firefox add-on platform to install it. I even have a list of features to be implemented in the coming releases. Hope you enjoy using the add-on.